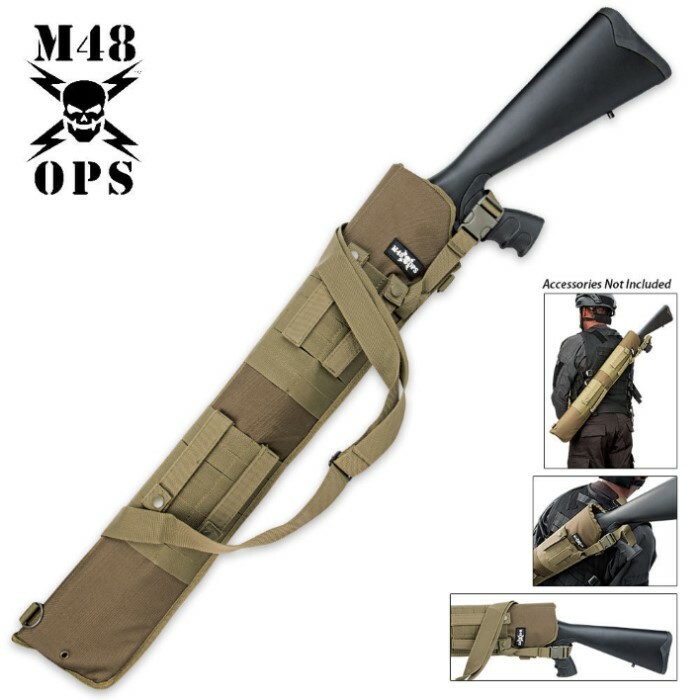 M48 OPS MOLLE Compatible Tactical Shotgun Scabbard OD Green | BUDK.com - Knives & Swords At The Lowest Prices! 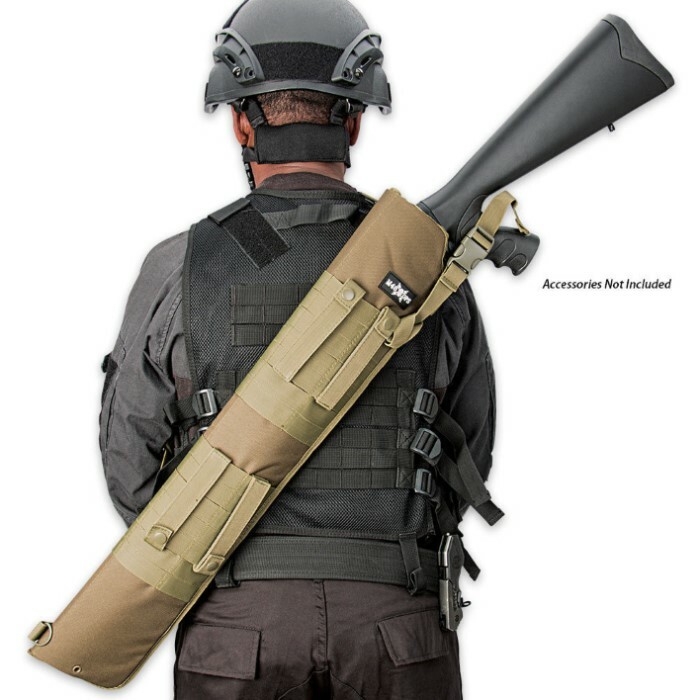 House your shotgun in this M48 OPS MOLLE compatible tactical shotgun scabbard. It features OD green reinforced heavy duty nylon construction with ample MOLLE webbing and adjustable straps. The adjustable shoulder strap allows you to carry it over the shoulder. 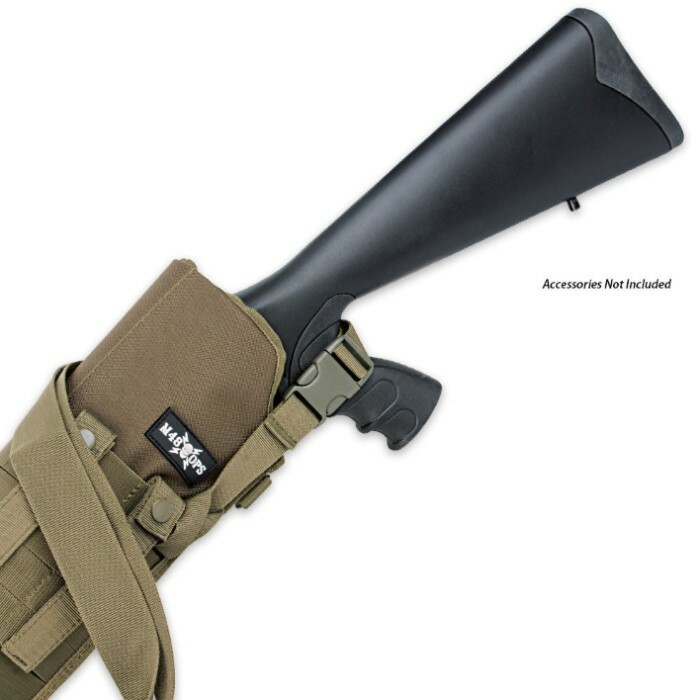 This scabbard also features removable snap attachments that can be used for a variety of purposes. At 29" long overall, it houses most standard shotguns. Fits the Stevens 320. Most remove any flash light attached to muzzle or any side saddle shell holders.. Yes, I would recommend to a friend.